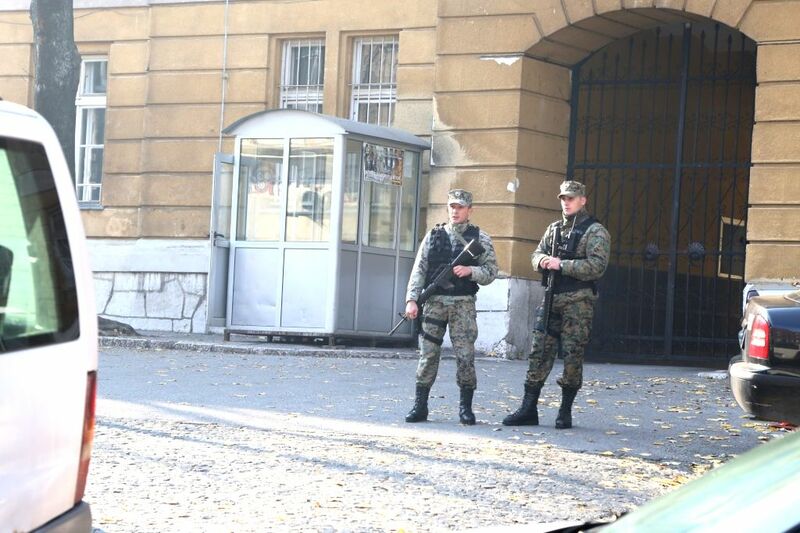 SARAJEVO, Nov. 19, 2015 - Soldiers secure the building of defense ministry, in the Old City of Sarajevo, BiH, Nov. 19, 2015. "Elements of terrorism" were found in the killing of two soldiers from the Armed Forces of Bosnia and Herzegovina (BiH), State Investigation and Protection Agency (SIPA) said on Thursday. Ante Jelec, Chief of Staff of Armed Forces of Bosnia and Herzegovina (BiH) speaks at a press conference inside the building of defense ministry, in the Old City of Sarajevo, BiH, Nov. 19, 2015. 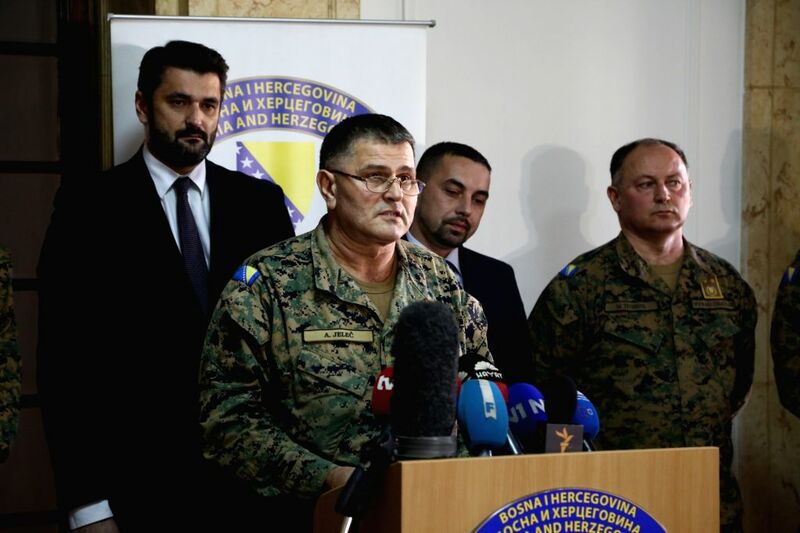 "Elements of terrorism" were found in the killing of two soldiers from the Armed Forces of Bosnia and Herzegovina (BiH), State Investigation and Protection Agency (SIPA) said on Thursday.